Last night’s Champions League clash between the Rossoneri and Barcelona didn’t quite live up to Adriano Galliani’s “Derby of the World” billing, but it was a far from drab affair. Many had predicted another Barca whitewash before the game, but Massimiliano Allegri’s gameplan was spot-on and won a point for the seven-time tournament winners. Injury-stricken Milan took to the pitch minus Zlatan Ibrahimovic, Robinho, Philippe Mexes, Taye Taiwo, Mathieu Flamini and Gennaro Gattuso. Antonio Cassano and Pato, Milan’s only available forwards, started up-front, supported by trequartista Kevin-Prince Boateng and midfielders Mark van Bommel, Antonio Nocerino and Clarence Seedorf. Regular starters Ignazio Abate, Thiago Silva and Alessandro Nesta started in defence with Gianluca Zambrotta at left-back and Christian Abbiati between the posts. It’s testament to Milan’s strength-in-depth these days that the Rossoneri were still able to field such a strong squad even with six players missing. They were able to leave players of Alberto Aquilani and Massimo Ambrosini’s calibre on the bench which really highlights the excellent job Milan have done of padding-out their squad this summer. The Catalans goals came from a defensive lapse and a moment of brilliance. Milan were never outclassed despite the statistics (Barcelona had 75% possession and 22 shots to Milan’s 6). With the Rossoneri sitting deep, Barca were often reduced to long-range shots and could only convert 9% of their chances into goals. Allegri’s narrow formation stifled Barcelona’s ability to play between the lines and his decision to chase the game and increase pressing in the second-half helped drag Milan back into the game. Barcelona dominated possession and created more chances, but this was always going to be the case. Allegri’s tactics simply trumped Guardiola’s. Yes Barcelona probably deserved to win given the balance of play, and yes they’d been forced to play with a makeshift Busquest/Mascherano centre-back pairing, but they couldn’t better Milan’s gameplan. Both Rossoneri goals were well taken. Pato took advantage of some uncharacteristic Barcelona sloppiness, knocking the ball between Busquets and Mascherano in the middle of the park before burning the flat-footed Busquets for pace and finishing deftly. Thiago Silva’s headed equaliser was excellent: the Brazilian leapt like a salmon, meeting the ball at the peak of his jump and powering it past Victor Valdes. Calcio is this blog’s primary focus, but not giving Barcelona their due credit would be unfair. That even teams of Milan’s stature are forced but to employ defensive gameplans against the Catalans says everything of their global supremacy. They dominated possession and would surely have faired better with Puyol and Pique in the side. Villa’s 30-yard free-kick was inch-perfect, and, truthfully, they probably should’ve scored more. Tiki-taka afficionados will complain about Milan’s defensiveness, but Barcelona were foiled by a true Italian defensive masterclass. Alessandro Nesta was flawless: the 35-year old’s superior reading of the game defies his declining physical attributes, and last night showed that he can still compete with the world’s best players. A flawlessly executed challenge on Leo Messi that left the Argentine punching the ground says all you need to know about both players’ respective performances. Thiago Silva looked assured beside Nesta and popped-up with the crucial equaliser, while Gianluca Zambrotta had an excellent game as a defensive left back. Zambrotta rarely ventured forward, instead focusing his attention of stopping the usually rampant Dani Alves down Barca’s right flank. Zambrotta kept his opponent on the inside, forcing Barcelona to play through Milan’s wall of defensive players and neutralising one of their most potent attacking threats. Antonio Cassano was largely anonymous, but the ex-Sampdoria man’s inability to impose himself had little bearing on his strike partner’s performance. Pato had a good game, breaking through Barcelona’s midfield to trouble a wobbly Catalan defence on a couple of occasions. Always a good goalscorer and one of the most composed forwards in the world, Pato took his goal well and could have a breakthrough season in the Champions League if he can stay fit. Attack-minded purists will be cynical of Milan’s performance but Allegri’s men did exactly what they needed to. The Rossoneri conceded possession but they were mostly successful in stopping Barca’s play between the lines and they did a good job of shackling Messi and Alves. Barcelona didn’t have enough in their armoury to break Milan down on the night, and that’s why they couldn’t win. All-in-all, an encouraging performance from Milan after the disappointing of drawing with Lazio at the weekend. The Rossoneri have enough bodies to rotate for Sunday’s tie with Napoli, so hopefully tiredness shouldn’t be too much of an issue. Having watched them perform admirably as underdogs I now look forward to seeing how they setout against a team they’d hope to be beating. 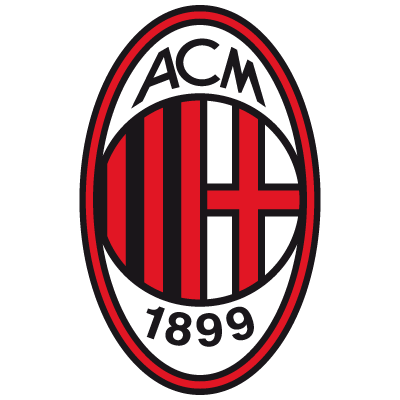 Associazione Calcio Milan, to give them their full name, are one of the world’s most successful clubs. Last year’s Scudetto win was Milan’s 18th in total, and only Real Madrid have won more Champions League titles than the Rossoneri’s seven. Add five Coppa Italias and a further 11 European and intercontinental titles to this and you have a truly enviable trophy room. Milan’s current squad isn’t as star-studded as it once was, but the same can be said of any other Serie A team in 2011. Italy is still reeling from the aftermath of the 2006 Calciopoli scandal, and a lack of financial clout means that Italian clubs can’t hope to match the inflated transfer fees and wages required to attract today’s top talents. Nonetheless, this Milan side is functional and effective. They are the best team in Italy, but probably lack the dynamism to compete for the Champions League. Coach Massimiliano Allegri has done an excellent job. An unheralded appointment of whom little was expected, Allegri joined Milan in 2010 after two successful years with Cagliari. He ended Inter Milan’s run of six consecutive titles by winning last year’s Scudetto, a feat he’ll be expected to repeat this season, and has managed to form a cohesive unit with some of the game’s most volatile personalities. One of Allegri’s most impressive attributes at Milan has been his ability to get the best from his players. One-time Tottenham Hotspur cast-off Kevin-Prince Boateng has excelled as an unorthodox trequartista, veteran Mark van Bommel is enjoying an Indian summer and defenders Ignazio Abate and Thiago Silva have improved leaps and bounds. Notorious rabble-rousers Zlatan Ibrahimovic, Antonio Cassano and Robinho have formed a unified strikeforce with Pato, and ‘keeper Christian Abbiati is better than ever. Milan have had a strong mercato. Losing Andrea Pirlo is a blow on paper, but Allegri’s system demands energy and athleticism from its midfielders, which, lets be honest, doesn’t really fit the Metronomo’s playing style. Alberto Aquilani and Antonio Nocerino have been signed to cover Pirlo’s departure, and the latter should play a huge role in any Milanese success this season. Elsewhere former Marseille man Taye Taiwo should solve Milan’s longstanding issues at left-back and young forward Stephan El Shaarawy provides a much-needed pace injection. Loanees Ibrahimovic, Boateng and goalkeeper Marco Amelia have also had their deals made permanent, completing a squad that is deeper and more versatile than last season’s. Milan have a rich, deep history and I fully intend on researching it this week. I grew up watching the Rossoneri sides of the 1990’s and it’ll be a pleasure revisiting them. That said, my knowledge of pre-Sacchi Milan is sketchy to say the least so I may choose to delve into the earlier archives of Milan’s history. Either way, expect the results of my research to surface here later in the week. Naturally I’ll also be covering Milan’s fixtures for the week. Tomorrow night they face Barcelona in their first Champions League game of the season, and on Sunday they take-on Napoli at the Stadio San Paolo. The Barcelona game is particularly interesting to me. Watching Milan fall to Tottenham last season was embarrassing, but a spirited performance against the best team in the world would go a long way to improving Italian football’s flagging European reputation. Check back soon for more updates!